I was at the Oakland Museum main library in the History Room and they had a newspaper article from Playland at the Beach’s last days. Playland was a Santa Cruz style amusement park that shuttered in the 1970s. The coast used to be dotted with these parks of this type. In Alameda, there was [Neptune Beach](https://en.wikipedia.org/wiki/Neptune_Beach_(California)). In Oakland, there was [Idora Park](https://en.wikipedia.org/wiki/Idora_Park). [Playland not at the Beach](https://www.playland-not-at-the-beach.org/) is a Museum dedicated to Playland and old Amusement parks in general. 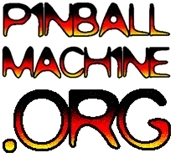 They have 30 pinball games, vintage arcade games going back to the 1940s, carnival games that earn tickets that can be redeemed for prizes, and lots of awesome memorabilia from the Park. Everything is on free play. Also, Fun fact: Playland is where the Its-It ice cream sandwich originated.